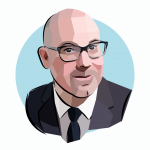 As the lights came up last fall at the advance screening of “If Beale Street Could Talk,” the film’s director and screenwriter Barry Jenkins spotted a familiar face in the Atlantic Station movie theater — University of Georgia English and African-American Studies professor Ed Pavlic. Jenkins had one small problem – he had written the screen adaptation on a whim without permission from the James Baldwin estate. He asked Pavlic, the author of “Who Can Afford to Improvise? : James Baldwin and Black Music, the Lyric and the Listeners” (Fordham University Press, 2015) and the forthcoming “No Time to Rest: James Baldwin’s Life in Letters to His Brother David” if he had any Baldwin estate contacts he could share. 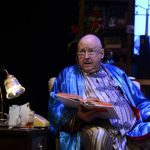 “He gave me one email address and one mailing address,” the Oscar-winning filmmaker explained to the audience. “So I sent the script that I had absolutely no rights to to that address in a package.” A week later, Jenkins received a reply on Baldwin estate letterhead informing him that they were familiar with his work and they were interested but to “buckle up” for a lengthy process. In the afterglow of his 2017 Best Picture Oscar win for “Moonlight,” Jenkins set out to film the first English language film adaptation of a James Baldwin novel. 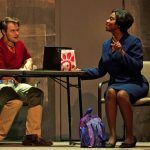 Last fall, Jenkins and the cast, including newcomer KiKi Layne, who plays Tish Rivers in the film and Regina King and Colman Domingo, who portray her parents, Sharon and Joseph Rivers set off on a multi-city tour to promote the film. The film’s male lead, Stephan James, who plays the film’s falsely accused Alonzo “Fonny” Hunt, will be instantly recognizable to Atlantans, having played civil rights icon John Lewis in director Ava DuVernay’s 2014 locally shot “Selma,” co-starring Domingo as MLK aide Ralph David Abernathy. 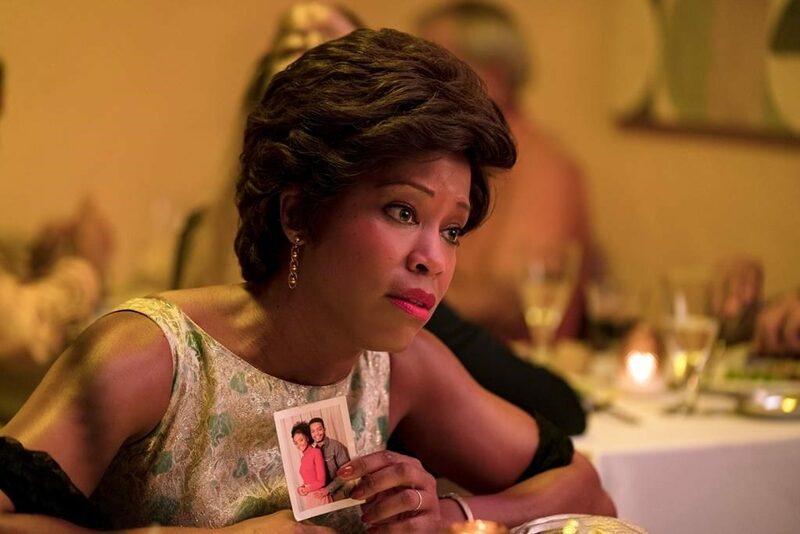 Regina King has already won a Golden Globe for her riveting portrayal of Sharon Rivers in “If Beale Street Could Talk.” She is now also nominated for an Oscar. King has already won a Best Supporting Actress Golden Globe for her role and she’s now up for an Oscar and the film is also nominated for Best Adapted Screenplay and Best Original Score. But for Baldwin’s legion of readers worldwide, Jenkins’ flash-forward alternate ending shot for the film adaptation raised a few eyebrows. In an interview with Eldredge ATL, Jenkins explained that he did, in fact, film Baldwin’s ending but it left him unsatisfied as a viewer. Barry Jenkins in conversation with Eldredge ATL’s Rich Eldredge at the Ritz Carlton in downtown Atlanta on Oct. 29, 2018. While Baldwin’s novel was published in 1974, the book and the film’s themes of racial inequality within the prison system, police corruption and police brutality set against the backdrop of a strong united black family resonate just as powerfully in 2019. Now, with a Best Picture Oscar on his mantel, Jenkins is using his new A-lister leverage in Hollywood to amplify Baldwin’s work. 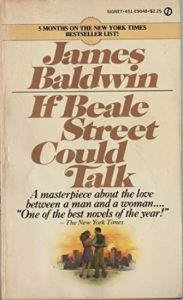 The first paperback edition of Baldwin’s novel published 45 years ago. 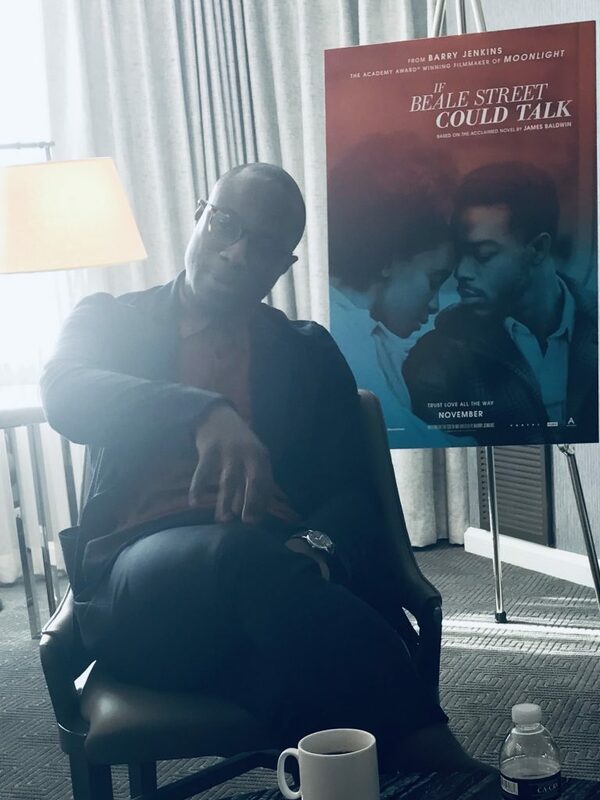 I had the great pleasure of interviewing Barry Jenkins with former VOX teen staffer and current Savannah College of Art and Design arts editor and filmmaker Mikael Trench and current VOX teen staffer Tyler Bey. 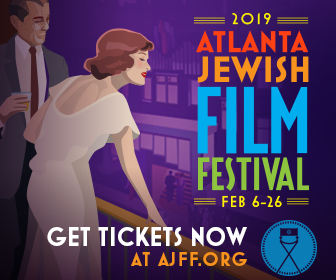 You can read Mikael’s coverage of the film junket here and his film review plus check out Tyler’s personal reflection on the voxatl.org website. 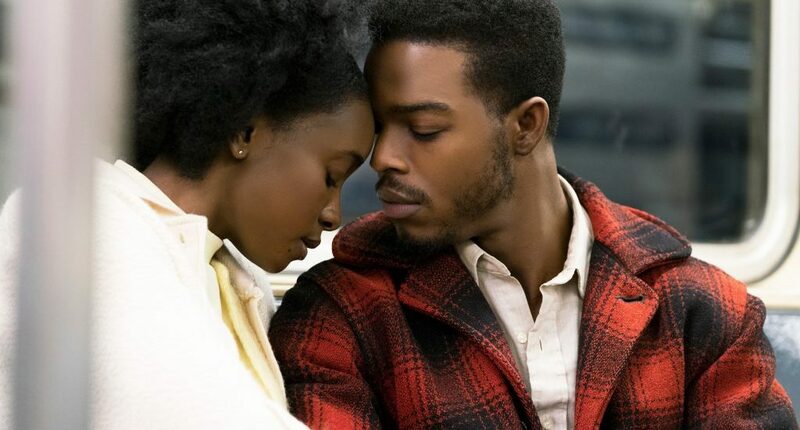 “If Beale Street Could Talk” is in theaters now. The 91st Academy Awards will be presented on Feb. 24, starting at 8 p.m. on ABC.